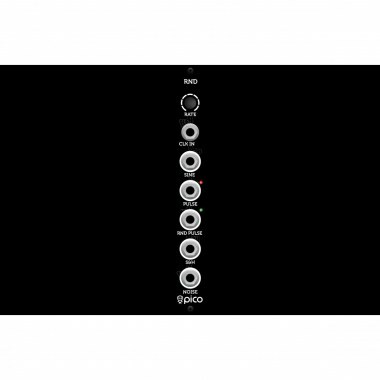 Erica Synths Pico RND is a combined LFO/random source module. Eurorack модули Erica Synths Pico RND Вы можете купить по выгодной цене в наших музыкальных магазинах в Москве и Санкт-Петербурге, интернет-магазин, доставка по России. It generates sine LFO waves, white noise, S&H CV and some more interesting stuff ﾖ random triggers and pulse wave with random duty circle, basically everything you need to bring some uncertainty in your modular setup. With Pico Series we challenged ourselves ﾖ can we make ANY superior functionality synth module 3HP wide and affordable? Yes, we can.